Impossible to pass building code inspection. 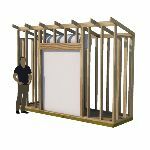 Make the initial building process difficult or impossible. Doors become jammed or impossible to open. Roofs deteriorate faster and leak. Take away from your property value. 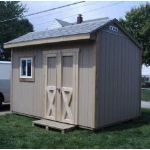 A waste of your hard earned money because your shed wasn't built correctly. 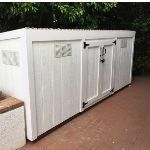 Shed floors can be framed in a number of different ways. Here are some key factors that you need to consider. 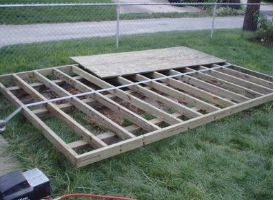 Your shed floor needs to be framed out of the right size lumber. Your shed floor needs to be square. Your shed floor needs to be Level. 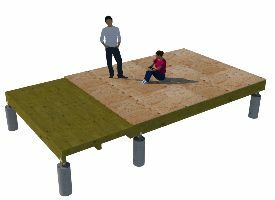 Your shed floor needs to be supported, and should be anchored. 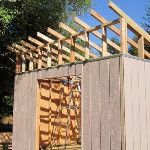 Before building your shed walls, one factor to consider first is the type of siding you want to use. 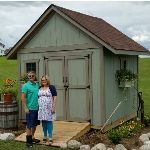 If you are going to use siding panels like T1-11, LP smartside siding panels, or vertical board and batten types of siding, your walls should be framed so that they allow for your siding to extend down below the floor sheeting for weather protection. Usually a 1" extension is sufficient. 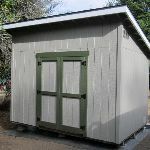 Typically shed walls are framed with 2x4's and can be normally spaced using 16" on center or 24" on center. 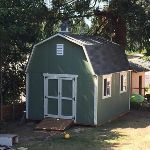 There are 4 basic styles of shed roofs. 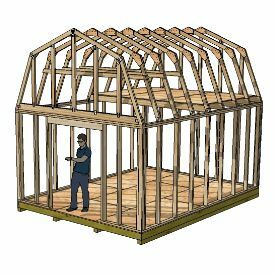 Shed roof framing can be accomplished by using pre-built trusses or by building with a ridge board and rafters. 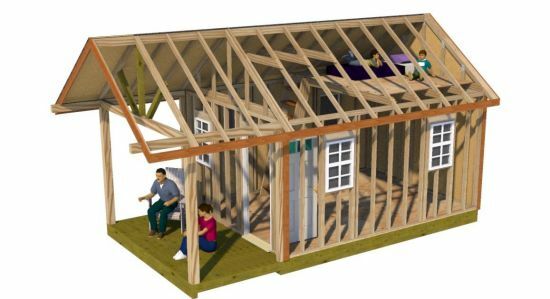 The lean to shed uses roof rafters that run from the front (or back) wall to the back (or front) wall.